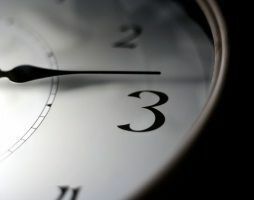 Should I be paid for unauthorized overtime hours | Kennedy Hodges L.L.P. Posted on 04/02/2016 Are the Cheerleaders for Some NFL Teams Victims of Wage Theft? ?What should I expect to happen after I contact your office? ?My supervisor asks the sales team to stay late on projects in return for buying us dinner on the company credit card—but shouldn’t we be making overtime pay for these extra hours? ?What are the criteria to be labeled as an intern or trainee as opposed to an employee? How does this determination affect my pay? It’s a common work scenario: You’re working hard to finish a project, but you just need some extra time. You’re unable to get ahold of your boss in order to ask approval for the overtime hours, so you go ahead and work them anyway since it’s an important task. You apologize and don’t report the overtime hours you worked. More often than not, it happens frequently and is not just a one-time occurrence. If you frequently find yourself working overtime without pay you could be losing your hard-earned wages every day because of a boss who is trying to control costs by denying you your federally-mandated overtime pay. What is your company’s overtime policy? Some companies have overtime policies that stipulate that any overtime worked must be approved or authorized in advance. This is legal, but it does not mean that you should not be paid for hours you already worked, even if the overtime was not approved in advance. Should I still be paid unauthorized overtime? Courts are challenging these “no approval, no overtime” policies because the Fair Labor Standards Act stipulates that if the employer knew or had reasonable knowledge that an employee worked overtime the employer has "suffered" and "permitted" the employee to work. What’s more, the FLSA requires that supervisors - not employees - make sure employees don’t work extra hours. Under the FLSA, employees must be paid for every hour they work, including time-and-a-half for hours worked over 40 in a week. This still applies even if the overtime was not approved in advance. Are you pressured to work off the clock? Many workers frequently need to work overtime to finish a project, but end up not reporting the time because they felt pressured by management to not report the “unapproved” overtime. If you are a non-exempt employee you should be paid for all hours worked off the clock. Can I get my overtime pay back? The first step is determining if you are a non-exempt or exempt employee under the FLSA. We have helped all types of workers in every industry to recover back overtime pay from their employer. If you need this question answered for you then send our employment attorneys a contact form - they will review your case free of charge and at no obligation and you can find out once and for all if you are being paid correctly. Or call toll-free: 1-888-449-2068. You can also order our free book, The 10 Biggest Mistakes that can Hurt your Wage and Overtime Claim, to learn more about the FLSA. Article: One easy way to know if you are FLSA exempt or non-exempt.